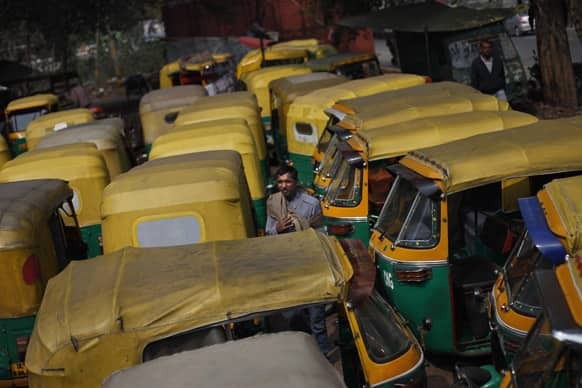 A auto-rickshaw driver stands among dozens of auto-rickshaws parked during a nationwide strike called by trade unions in New Delhi. 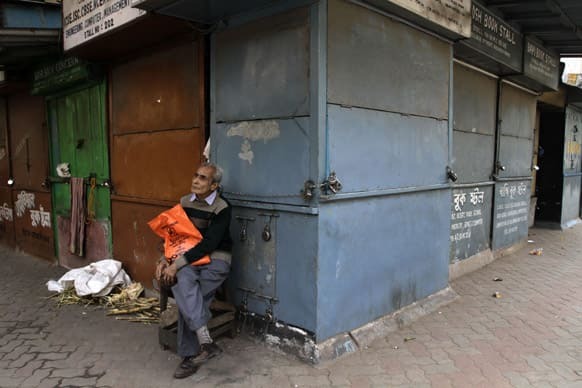 An elderly man waits for transport as he sits in front of a closed shop on the first day of a two-day nationwide strike called by trade unions in Kolkata. 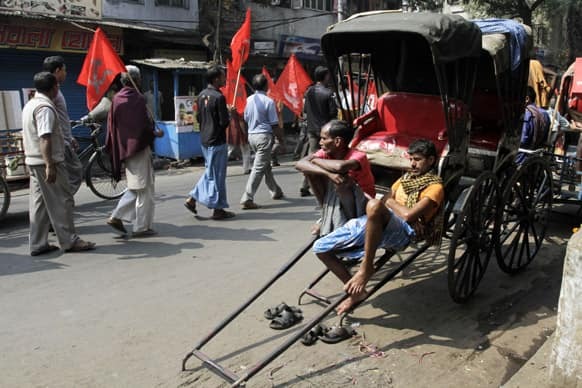 Rickshaw pullers watch members and supporters of the Communist Party of India-Marxist walk with party flags in a rally during the first day of a two-day nationwide strike called by trade unions, in Kolkata. 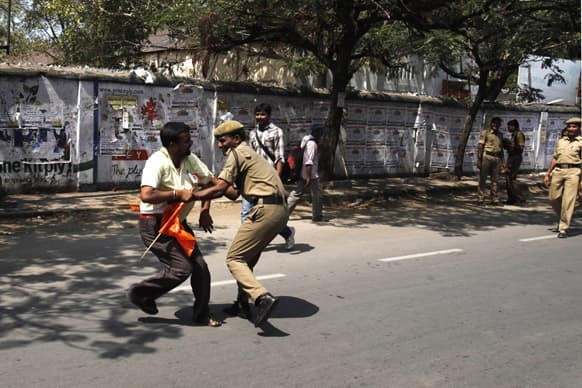 A policeman detains a worker who tried to march towards the state legislature complex on the first day of a two day strike in Hyderabad. 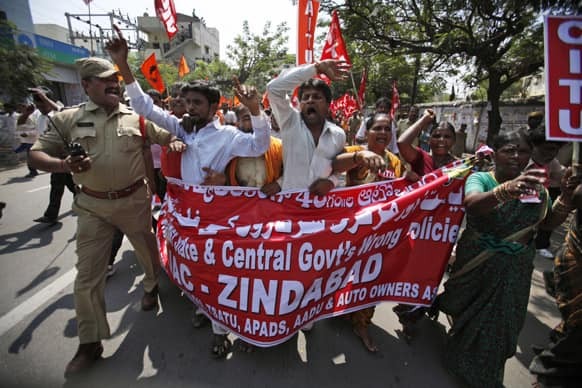 A police officer shouts as he tries to stop workers from marching towards the state legislature complex on the first day of a two day strike in Hyderabad. 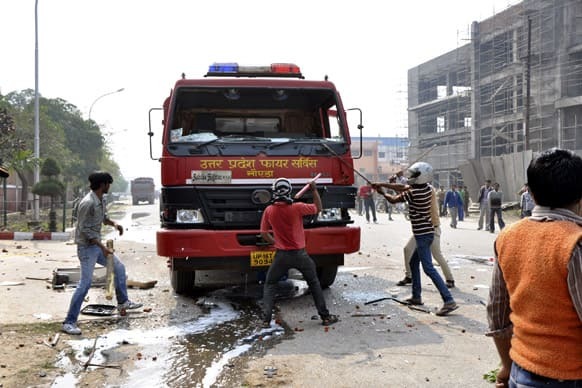 People vandalize a firetruck on the first day of a two day strike in Noida. 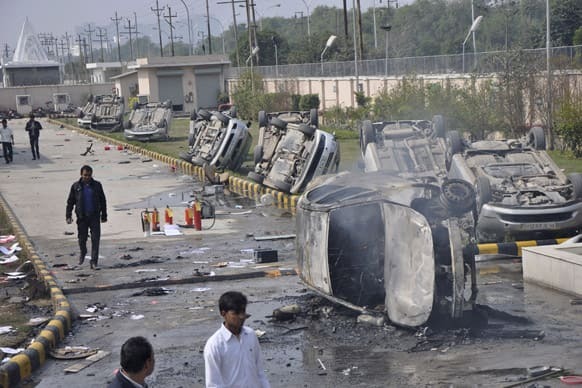 People walk past vandalized cars at the premises of a factory on the first day of a two day strike in Noida. 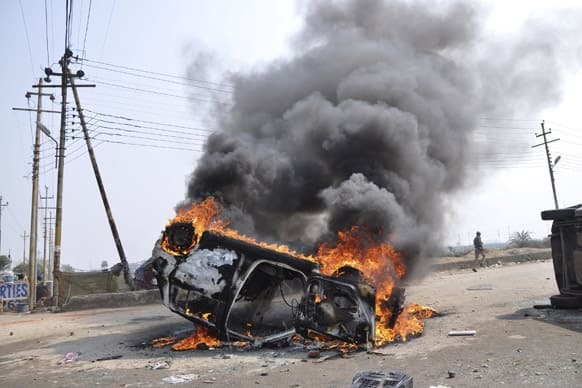 A policeman runs past a burning car set on fire by vandals on the first day of a two-day strike in Noida. 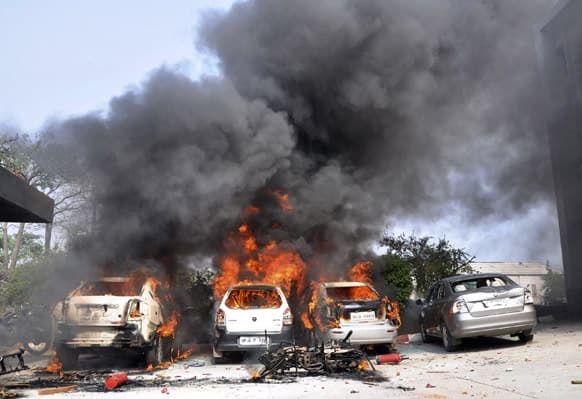 Cars set on fire by vandals burn on the first day of a two day strike in Noida. 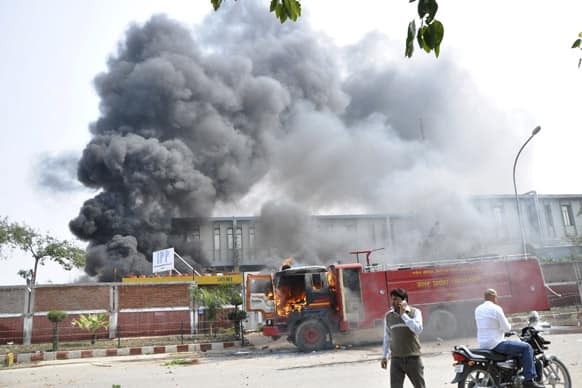 A fire engine set fire by vandals burns on the first day of a two day strike in Noida. 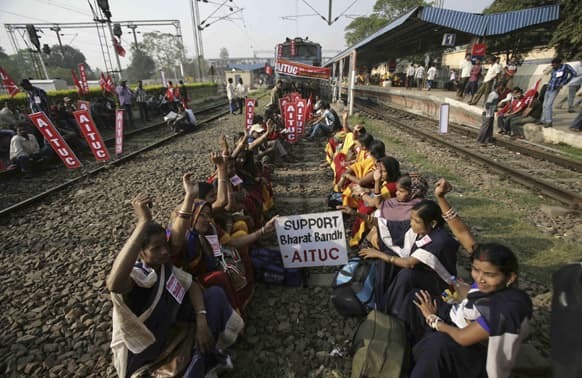 Activists of All India Trade Union Congress (AITUC) shout slogans as they sit on rail tracks to stop trains on the first day of a two day strike in Bhubaneswar. 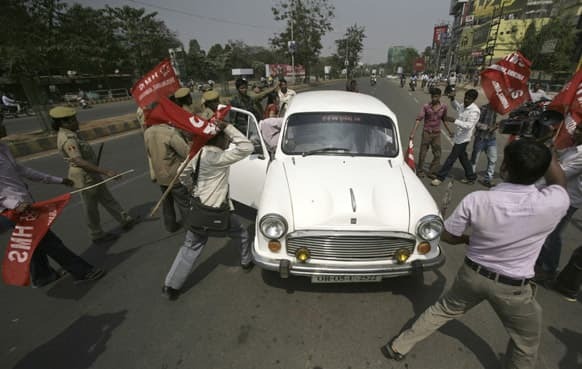 Indian trade union activists of Hind Mazdoor Sabha attack a car that was plying on the first day of a two day strike in Bhubaneswar.